Before we all start feeling that we’ve been unwittingly propelled into Winter and its festive whirlwind, we wanted to take a moment to celebrate a season when the senses get a heady treat. We’ve been busy redesigning our website—now fully launched—and redefining our ethos and direction, so maybe Autumn is a period of reflection and renewal for us after a busy, hot, summer. Autumn is also, of course, a time of harvest when we gather in all that will sustain us for the months ahead. We’d like to introduce three of our new makers—Gillian Highland, Kate Jones and Superfolk—who we think fit most perfectly on our Harvest Table. Gillian Highland completed her degree in ceramics in 1969 at the West England College of Art in Bristol, where she was taught by Lucie Rie. She spent many of the subsequent years teaching and exhibiting her work. She founded and convened the Canterbury Adult Education Pottery Department, and her work is included in the Kent County Council Art Collection. She brings a rich personal experience to her approach, which is apparent in the glaze and in the form. 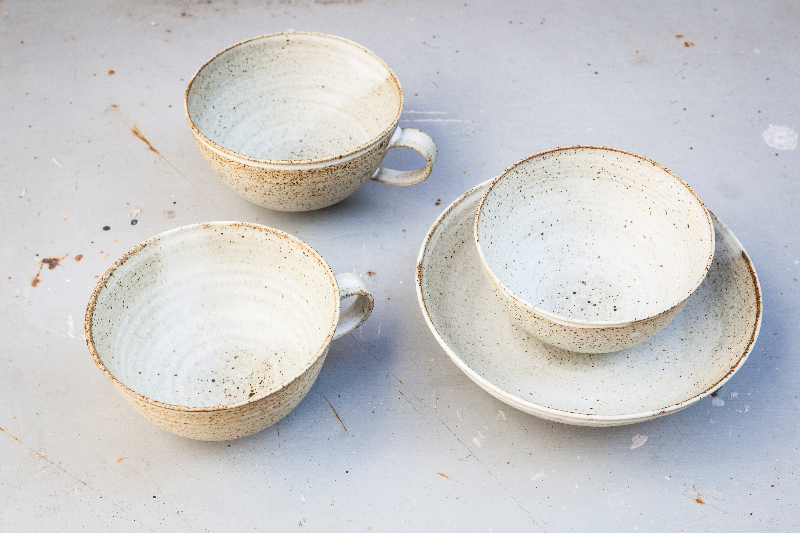 This range of cups and bowls, using Dolomite glaze, reflects our pallette and textures for this Autumn. 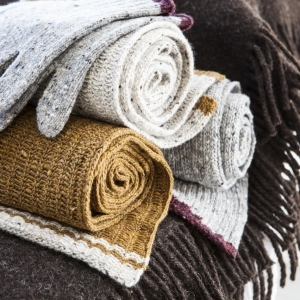 Kate Jones creates original contemporary knitted accessories and homeware by hand in her studio. She aims to combine the finest traditional yarns and techniques with a modern aesthetic inspired by organic forms and the natural world. Her work is created on a hand-powered domestic knitting machine, using carefully sourced sustainable yarns, spun and dyed in the British Isles and Ireland from natural fibres. Kate relocated from London to Margate, on the Kent coast five years ago, where the natural light, coastal textures and ever-changing sky and seascape continue to provide a rich source of inspiration for her creative practice. The Autumn 2018 range for FRANK is produced with Donegal wool. The natural flecks in the yarn echo the Autumnal landscape of the Kent coast. 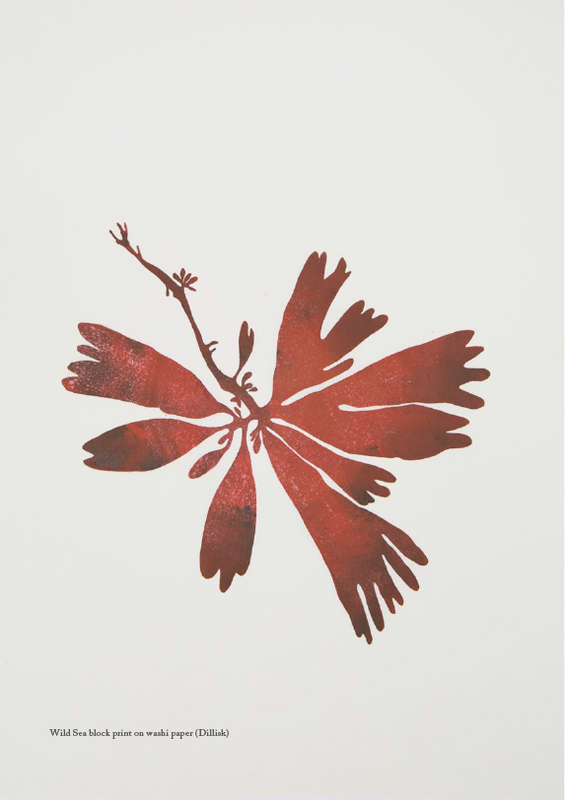 Our range of seaweed linocuts from Superfolk represents both the harvest of the sea, redolent of Autumnal foraging, and remains faithful to their ethos of shaping their products around the characteristics of the raw material, which, in this case, is Japanese Washi paper—its delicate structure helping to trace out the shape of the organic form depicted. Finally we’d like to thank our creative team for their invaluable help in producing our beautiful website redesign. Firstly Andrew Hayes-Watkins for images that shine. 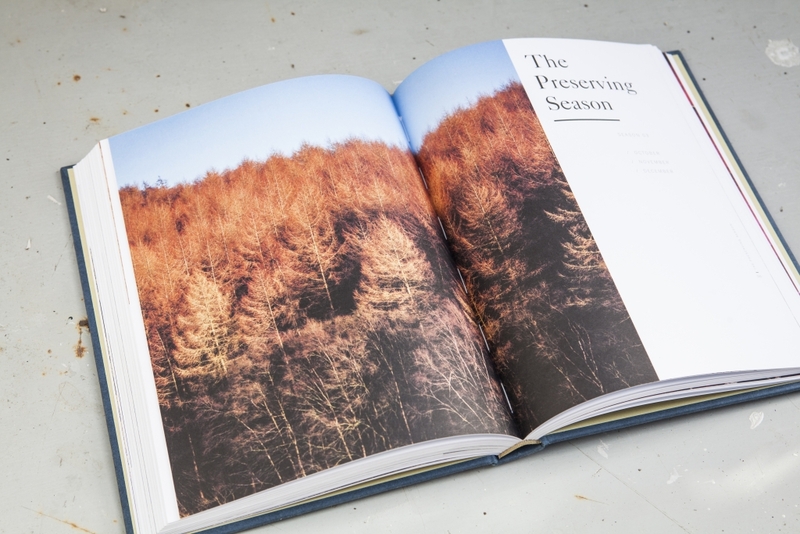 Renowned food and portrait photographer, Andrew’s latest book, Roots, by Tommy Banks, showcases the eponymous restaurant, and Banks’s farm in Yorkshire. Here’s an image, which fits right in with our Autumn theme. David Abbott, who has designed our websites for many years has once again found a way of translating our incohate ideas into something beautiful and elegant. In his own words…I am an artist and designer who lives and work in Bristol. My work is bold and full of colour. I am a little obsessed with words and think I’m funnier than I actually am. My workdays are fuelled by music. The breadth of his interests is represented by his websites: http://davidabbott.co https://www.fastandsteady.co https://www.thisischesapeake.com. Finally, a note of thanks to Melissa Sinclair who manages our website with daily updates of product photos, and text. Melissa will be showing her illustration work at the Margate Illustration and Print Fair on Saturday October 27.